If you’ve been paying attention, you know that I just launched my first product. (This was in 2010). It’s been rough, but going through the motions and creating my first product has taught me a lot. The number one thing I learned from getting my first product out there is this: there will never be a perfect time to launch your first product, so just get started. I’m going to repeat this later in the article, because it needs to be hammered into your head. Once you understand that you do not have to create a huge first product, it’s going to be so much easier. You can create a small podcast, report or video course and sell it for under $10. It doesn’t matter, you can always improve the product and raise the price. What matters is that you get started, get your product out there and get feedback. That’s the only way you’ll learn how to make this work. Having that a-ha moment of “hey, the earth won’t fall out of orbit and destroy the universe if I charge money for my stuff” is awesome, but unless you take action, it won’t happen. The fear will always be there, especially if you’re producing your first product. As long as you’re solving a problem, being genuine and helpful, you have a very good chance of succeeding. Sometimes you may not be entirely sure whether or not people will buy your product. I had the same problem, which is why I made sure there was competition out there before I started. I surfed over to ClickBank and looked at the competition for article marketing guides. There were oodles of them, which confirmed my suspicion: people wanted this stuff. You may think that competition is bad, but it isn’t. It’s good. If you have or are building your own audience, competition doesn’t really matter. Procrastination can easily provoke you into a tail-spin if you’re not careful. I minimized procrastination by setting a schedule for myself. My goal was to write at least 1,000 words every morning, before I did anything else. I also had a firm goal in mind of getting my first product done and out there. For me the early morning routine worked, but you have to find your own groove. The hard part is getting started, which is why getting into a routine of writing every morning was crucial for me. Some days I wrote the minimum of 1,000 words, but often I wrote more. Once you get into the zone, it’s easy to go keep going. We’re born and brainwashed into thinking that we have to look for answers outside of ourselves. Sure, learn the basics, but avoid procrastinating by learning too much. Take responsibility and take action. I guarantee that your progress will explode if you’re willing to just try, fail and learn. There will always be something that comes up where you’ll have to improvise. These are the moments we live for, without realizing it. You want to be self-employed and free, but you try to avoid failure and challenges. Why? Don’t you want to utilize the magnificence that is your creativity? When you take full responsibility, it hurts to fail. The reality is that it doesn’t hurt so bad. We think of it as breaking a leg, when it’s merely a scrape. Put on a patch and in a few days there’ll be no sign left. No war wounds, just delicious and useful experience. The brick wall stares you down. Its mission is to keep out the tire-kickers. It’s going to make you question what you’re doing. The brick wall is going to ask you if you’re sure about this. No one told me about the wall. When I ran into it, I was surprised, but as someone who has faced and conquered the wall, I have to say it’s a nice and friendly wall, if you’re prepared. The only way you’ll know if your product is good is to get it out there and get feedback. Remember, your product doesn’t have to be your masterpiece. You can create something small and sell it for $7. If people like it, you can keep adding to it and raising the price. I first launched the product at $19 to give my loyal readers a chance to get it for a severely discounted price. I then raised it to $27 after a week. As time went on, I got more and more ideas, which meant new additions and a higher price. When you’ve created and launched your first product, you can see the big picture, which makes it exponentially easier to make your second. You can literally create something for your audience right now and sell it for under $10. You CAN do it. Ask yourself what’s stopping you and throw those thoughts in the freezer, for now. You can always let them out later. You want to make a living doing what you love, right? Now is the time to act. There’s absolutely no reason you should wait. Get your first product out there. If it flops, so be it. You’ll learn and try again. There’s absolutely nothing wrong with getting paid to help people. It’s a belief you have to eliminate from your system if you want to make your passion a reality. If a company has great customer service, I’ll pay double. If they get my name right, I’ll pay triple. I love good customer service, which is why I have no trouble answering every single e-mail I get. I don’t care if someone only paid me $19. If you’re my customer, I’ll do my best to answer any question you throw my way. I’ll even recommend you to the competition if I think it’ll improve your life. This game is not about money, it’s about relationships. It’s easy to get caught in the money game. I frequently remind myself of my purpose, which is to help and connect with awesome people, like yourself and I’m extremely grateful to be able to do this. When you launch your first product, make sure you go above and beyond for anyone who buys your stuff, especially if they want a refund. That brings me to an interesting story. Ingela’s laptop power adapter went kaput the other day. She needed a new one, so she went to a store that had helped her before. She bought a generic adapter. It didn’t work. Ingela returned it and the guy was pissy. Long story made short, he lost three potential lifetime customers that day (we told my brother). I wanted to get my product out there, so I didn’t recruit affiliates and I didn’t even try to get people to mention my launch. All I did was mention it on Twitter and tell my very small e-mail list about it. You don’t have to tell the world to have a successful launch. My goal wasn’t to have a big launch, it was to get a product done and on my website. My eyes are more on the long-term benefits than the short-term gains, although the short-term income is nice, too. The longer you wait to launch your first product, the longer you wait. If something holds you back, eliminate it, and launch instead. Stop coming up with excuses and take action. You’ll be happy you did. I know I certainly am. Great post, and thanks for sharing. Fear is perhaps the most important thing to conquer. Sometimes when we are almost finished creating a product we give up because of fear, but it’s in those occasions that we have to keep going. That is great to hear Henri. Soon I am going to launch a product for my site when I grow a bigger email list. Glad you enjoyed making your first product and to all the money you made. Looking forward to your launch. You definitely don’t need a huge list to get started. Remember, you can always let your new subscribers know, so instead of a big launch you get a drip-feed going. Really good advice Henri. I think the fear thing is a biggie for a lot of people but once we get past that, things are usually not half as scary as they seemed. It definitely helped me a lot to prioritize my product creation. Something I did was allocate one or two days of the week where I wrote and scheduled blog posts for several weeks. I got everything done and out of the way, which allowed me to focus even more on creating my product. I work best when I focus 110% on one thing. I think you nailed it with “there will never be a perfect time to launch your first product, so just get started.” Truth is, there’s never a perfect time, you just have to get out there and start taking action, learn as you go, keep getting better. If you never start, you’ll never achieve any of that. I have nothing more to add. You’re absolutely correct, Topi! Glad to hear the success of your “small” product launch! I wonder what will happen if you put up a massive product launch. Thanks for sharing Henri. I’m in the process of outlining product launches myself and tossing around a few different ideas, with the hopes that I”ll launch something by the end of the quarter. I think your point about customer service is really a great one. You can get a tremendously positive reputation based on customer service alone. Definitely get started and even set a deadline for yourself. It feels harder than it is once you get going. This is all great advice, and it’s very similar to what I went through on my first few launches. You rock Henri! I seriously love what you’re doing here and this is great advice in particular…especially for anyone who hasn’t launched a product yet. Take heed everybody, those are wise words. The advice is so simple, yet so powerful. It took me a very long time to understand. Hopefully my articles can help create that a-ha moment a bit sooner! Thanks for letting us know how your ebook launch went. I think that this is very useful information for future launches. As a satisfied customer of your article marketing ebook, I can attest to it working. I started article marketing based on your advice and book and can already see traffic to my site. Thanks for the motivation on this. That’s great that you were able to make so much in only two weeks. Way to go! I’m stoked that you’re liking the e-book. If you need any help, feel free to let me know and I’ll help out. Thanks for being a reader and supporter, Karen! Congratulations! And may the force be with you, mate! Keep up the good work. You deserve the success and the accolades, me thinks. Cheers! Hugely impressed by the fact that you have the discipline to write 1,000 words or more daily, first thing in the morning. Wow? That’s the one thing that stood out. As a writer, I understand the importance of writing every day AND whenever inspiration strikes as well. You believe in disciplining yourself to write and that’s great about you. You always make it a point to provide great suggestions, tips. Don’t let your foul moods or a bad day or writer’s block interfere with your writing. Just write anyway. Making it a habit is a worthy goal for any writer, not just you. And that inspires me to do the same. Great post. Best wishes. I noticed that I produce my best stuff in the morning. I might eat a piece of fruit or drink some freshly-squeezed juice to get going, but I try to keep my stomach as empty as possible. It works for me! 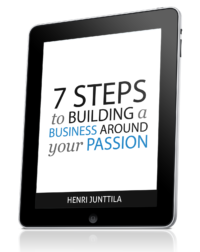 Excellent advice Henri – just in time as I’m getting started on devoting myself full time to creating my own product. I’m sure I’ll run into similar struggles and walls, but knowing that others have overcome them will be a huge help! I’m sure your first product will be 100% awesome from the articles I’ve seen on your blog. Keep rocking! Congrats Henri on the success with your first product. I’m working on something right now as well and this is good stuff. I worry about a lot of things when it comes to what kind of service or products I should put out there for people to buy. What I also have to remember is that the only thing to fear is fear itself, I just need to do it and then I can get feedback for what people liked/disliked, it’s honestly about relationships and helping people. The money is there but the relationship is what brought it to begin with so that’s what I should really care about and honestly do anyway. All great advice here Henri. And great job with your launch! When you’ve been blogging enough, you will start seeing the wholes that you can fill with a product, so let it happen naturally. Thanks for the comment, Eric! I did my first product launch in 2008, and as far as sales goes it failed miserably. But the experience was illuminating, and I did learn some things. So good for you in going through the process. Thanks Henri, this is JUST the post I needed to read right now. 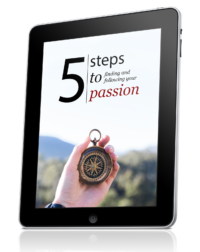 I’ve been too shy about promoting the ebooks and courses I’ve already created for too long. I’m revisiting them, and taking the most successful product of the past – a 7 week private group coaching course on finding time to create – and relaunching on 5th June. I’m also polishing up other books and getting them more visible. Your words have given me a lot more confidence and eased my fears of “failing”. Awesome stuff, Dan! The only way to learn is by doing.